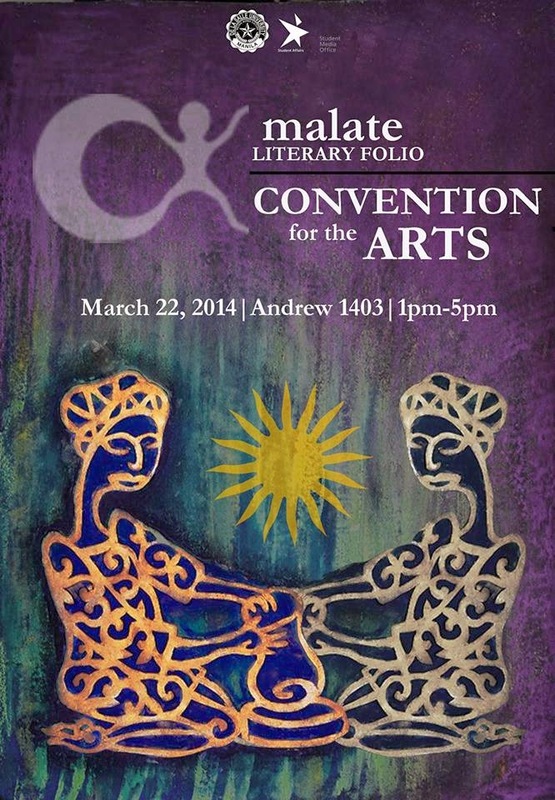 Malate Literary Folio, the official literary publication of De La Salle University (Manila), holds Convention for the Arts on March 22, from 1-5pm, at Room 1403 of Br. Andrew Gonzalez Building. The theme for this year's Convention is Filipino Consciousness. This event is open to outsiders.